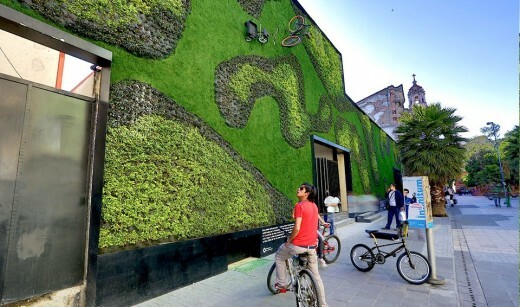 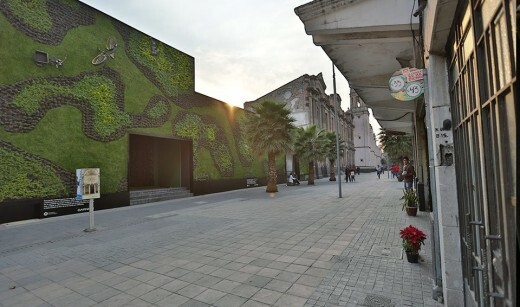 A large vertical garden measuring a total of 265 square meters (2852.44 square feet) located inside an old historical building in Downtown Mexico City, the building now works as the El Claustro de Sor Juana university. 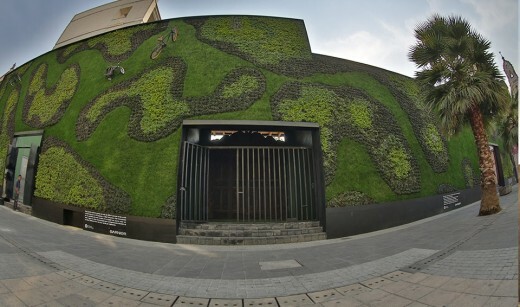 The main idea was to design a space that may improve the environment as well as adding some organic touch to the área. 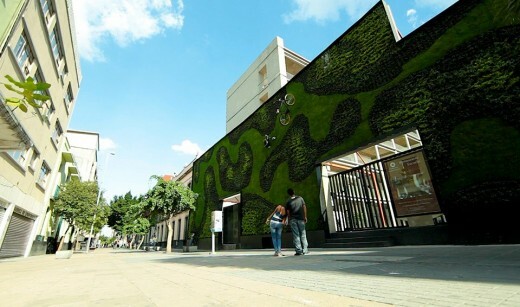 The street this building’s faccade is located is a walkway, the vertical garden adds some natural green perspective to the urban landscape. 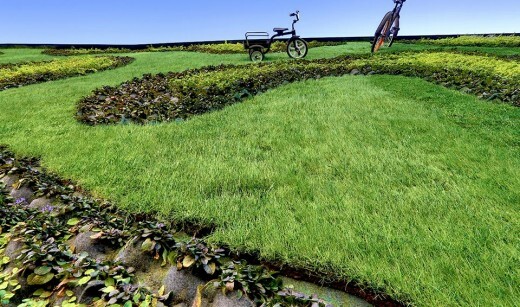 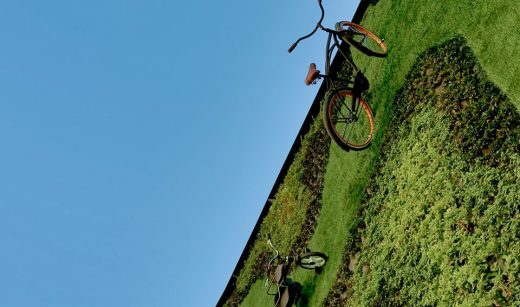 The esthetic concept of te garden relies on developing a typical park in a vertical angle with daily use objects like the tricycle.